U.S. equity index futures were higher this morning. S&P 500 futures were up 3 points in pre-opening trade. Index futures are responding to news that the House of Representatives passed a continuing resolution last night. 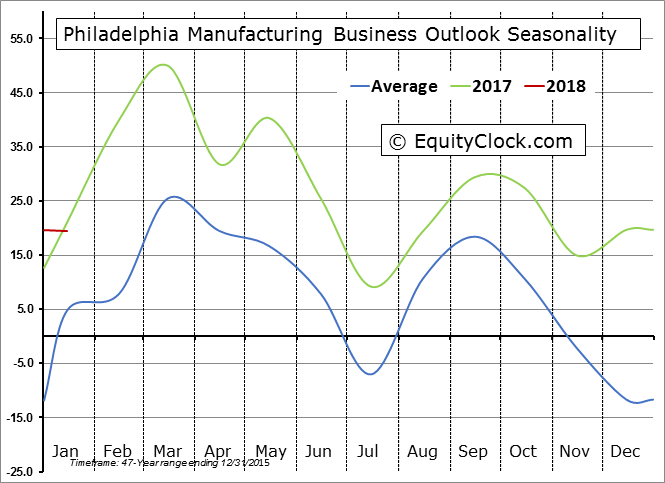 Fourth quarter reports continue to flow in. Companies that have reported since the close yesterday included Canadian Pacific, American Express, IBM and Schlumberger. Alphabet gained $3.03 to 1,139.00 after KeyBanc raised its target price to $1,280 from $1,150. Cisco increased $0.04 to $41.34 after KeyBanc raised its target price to $43 from $39. Netflix added $1.67 to $222.00 after KeyBanc raised its target price to $270 from $230. Nike improved $0.82 to $64.93 after Wedbush raised its rating from Neutral to Outperform. 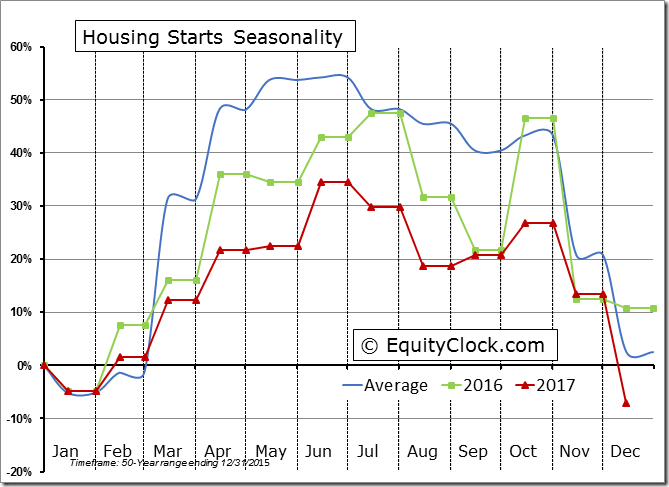 Note seasonality charts on Housing Starts, Philly Fed Index, Crude Oil Days of Supply, Gasoline Days of Supply, Crude Oil, and KBW Bank Index. 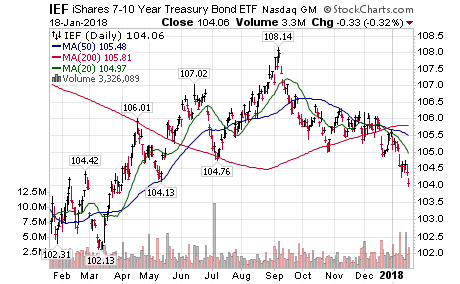 Yield on 10 year Treasuries briefly touched a 3.5 year high at 2.62%..
U.S. Treasury prices extended their downside move after completing a Head & Shoulders pattern last week on a move below $105.00. 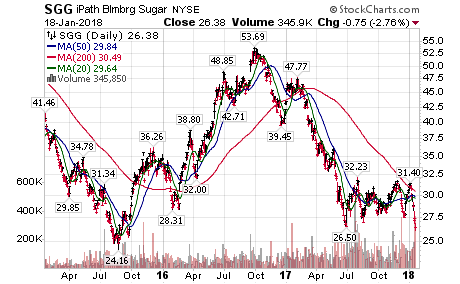 Sugar ETf moved below $26.50 reaching a 28 month low. Editor’s Note: After 10:00 AM EST, breakouts included CBS, TRV and VRSK. 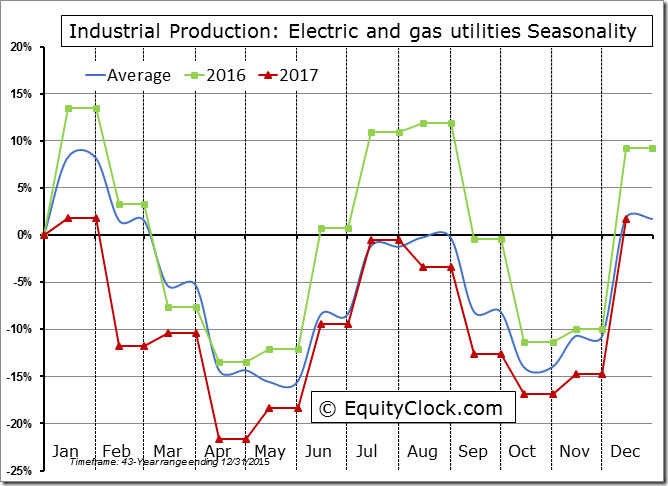 Breakdowns included NRG, GE and FE. 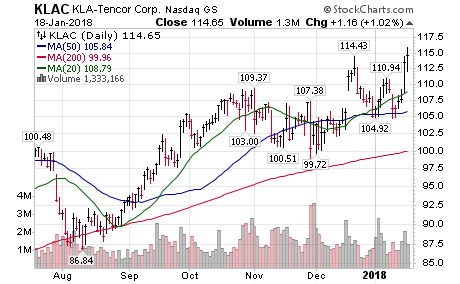 Verizon $VZ, a Dow Jones Industrial stock moved above $53.09 to an all-time high extending an intermediate uptrend. 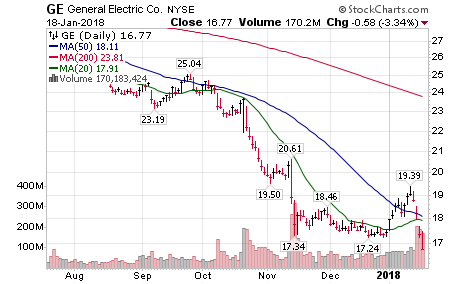 General Electric $GE, a Dow Jones Industrial stock moved below $17.24 extending an intermediate downtrend. 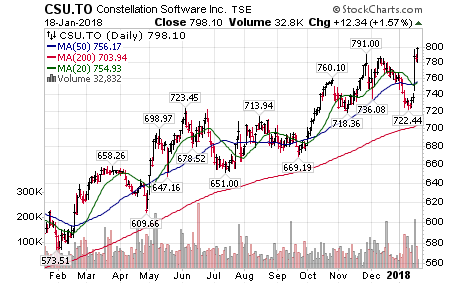 TMX Group $X.CA moved above $73.54 extending an intermediate uptrend. 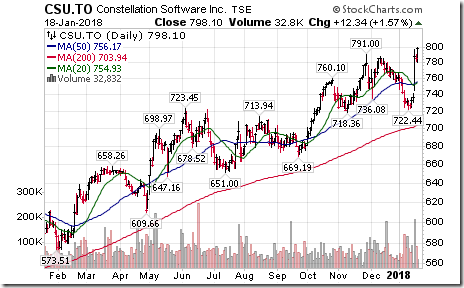 Constellation Software, $CSU.CA, a TSX 60 stock moved above $791.00 to an all-time high extending an intermediate uptrend. 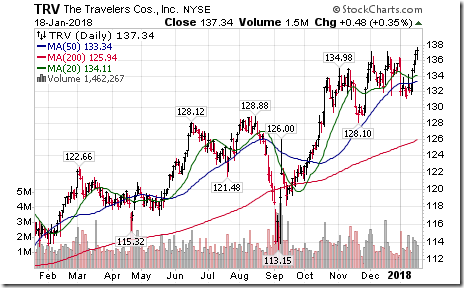 Travelers $TRV, a Dow Jones Industrial stock moved above $137.29 to an all-time high extending an intermediate uptrend. 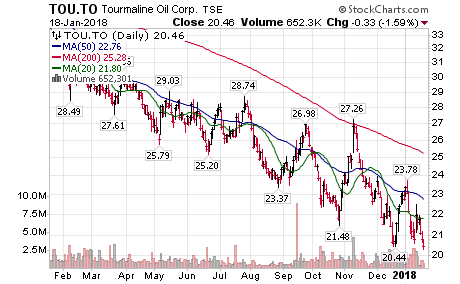 Tourmaline Oil $TOU.CA moved below $20.44 extending an intermediate downtrend. The Barometer slipped 0.20 to 80.20 yesterday. It remains intermediate overbought. The Barometer slipped 2.89 to 57.02 yesterday. It remains intermediate overbought. 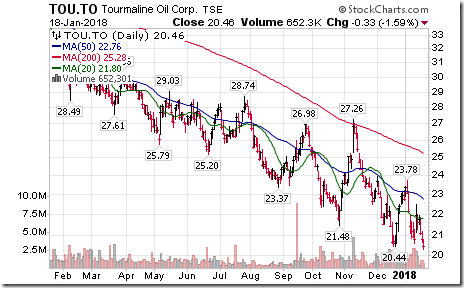 Northland Power (NPI.to) has just penetrated its downtrend line on good volume. The modified 20,50,1 MACD is still below the zero-level but this may be one to watch. 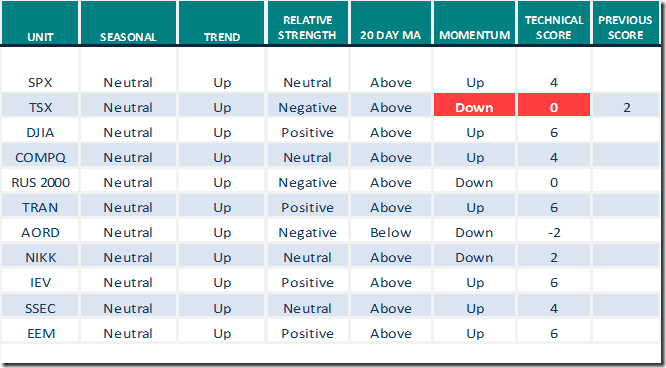 Northland Power correction with up to date chart. 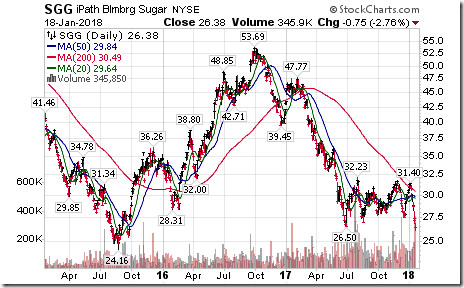 HVI-t another “false” breakdown? How would I know before hand? Can’t. Thank you all for enlightening posts the last few days. ECA.TO hrly chart. Those following it, please interpret for me where it is going? It is very volatile as it trades a lot (mentioned here before). So am wondering if it will go to where it started at $14.50. If you look at wkly chart has not broken below 16.50 for several weeks; stops just before the gap down. I guess if I’m going to be more of a longer term trader/investor I shouldn’t be looking at a live one minute chart,lol…………….old habits are hard to break. “OR”, “Can’t teach an old dog new tricks.” woof,woof…………grrrrrrrrrrrrrrrrrr. OOps the ECA.TO hrly chart . Thinking of buying only if goes up outside parabola. 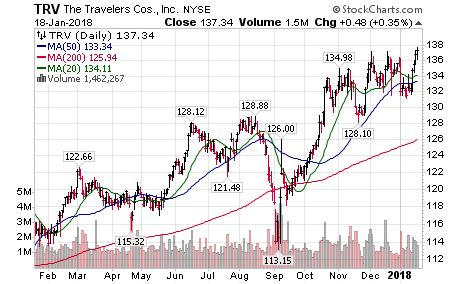 Franco-Nevada Corp. (FNV-T, “buy” rating) to $125 from $121. 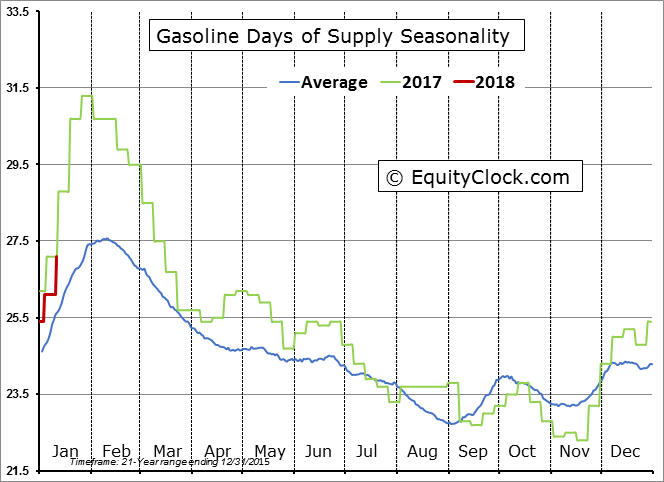 Consensus: $110.74. Osisko Gold Royalties Ltd. (OR-T, “buy”) to $22.50 from $22. Consensus: $19.37. Royal Gold Inc. (RGLD-Q, “hold”) to $101 (U.S.) from $99. Consensus: $94.32. 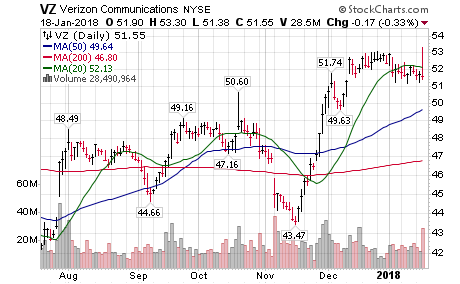 Barrick Gold Corp. (ABX-T, “buy”) to $27 from $24.50. Consensus: $19.67. 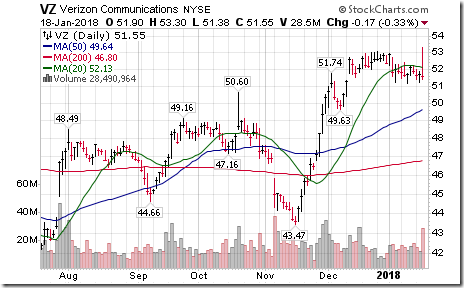 Agnico Eagle Mines Ltd. (AEM-T, “buy”) to $81 from $77. Consensus: $71.09. Alamos Gold Inc. (AGI-T, “buy”) to $13.50 from $13. Consensus: $11.62. Asanko Gold Inc. (AKG-T, “hold”) to $1.20 from $1. Consensus: $1.24. Argonaut Gold Inc. (AR-T, buy”) to $5 from $4.25. Consensus: $3.99. 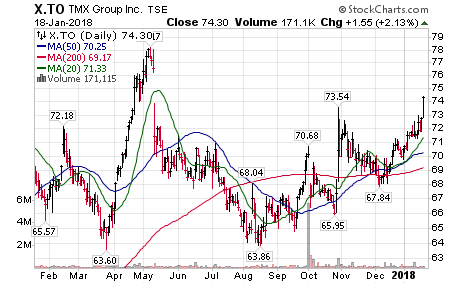 B2Gold Inc. (BTO-T, “buy”) to $6.50 from $6. Consensus: $5.32. Centerra Gold Inc. (CG-T, “hold”) to $7 from $8.50. Consensus: $9.34. Detour Gold Corp. (DGC-T, “buy”) to $23.50 from $22.50. Consensus: $20.77. Endeavour Mining Corp. (EDV-T, “buy”) to $39 from $37. Consensus: $32.23. 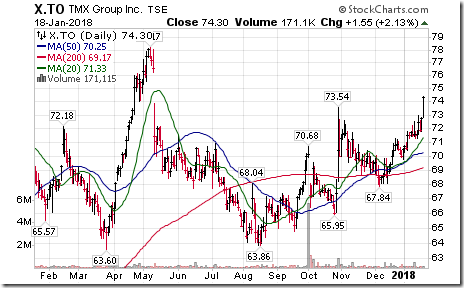 Goldcorp Inc. (G-T, “hold”) to $21.50 from $21. Consensus: $22.98. IAMGOLD Corp. (IMG-T, “buy”) to $10.50 from $9. Consensus: $9.40. Kinross Gold Corp. (K-T, “buy”) to $10.50 from $9.25. Consensus: $6.86. Klondex Mines Ltd. (KDX-T, “buy”) to $4.25 from $4.50. Consensus: $4.47. What is it trying to indicate? How do you interpret it? Thanks! Reply when you can. 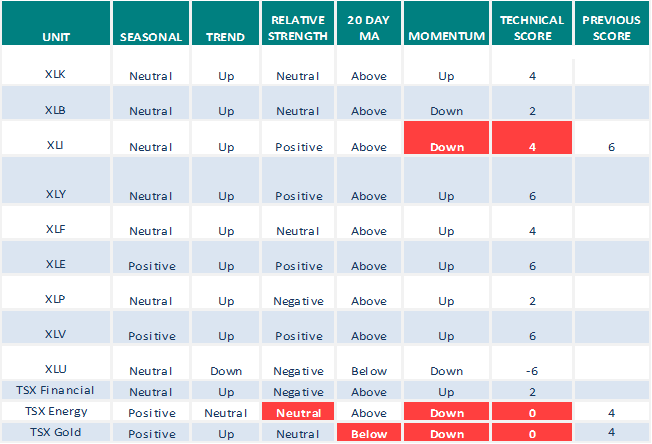 I was in agreement with Ron’s observation late yesterday that the outlook didn’t look promising for Friday based on the close at the day’s lows on many of the stocks on my Watch list. 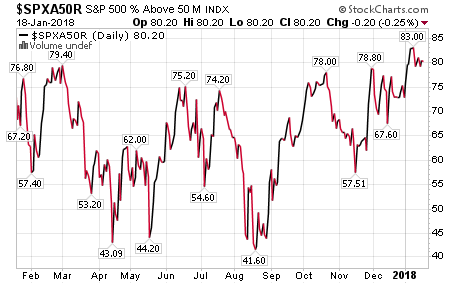 However, considering that WTIC is down nearly a buck mid-day, the market looks fairly resilient with many non-Energy issues up on the day. 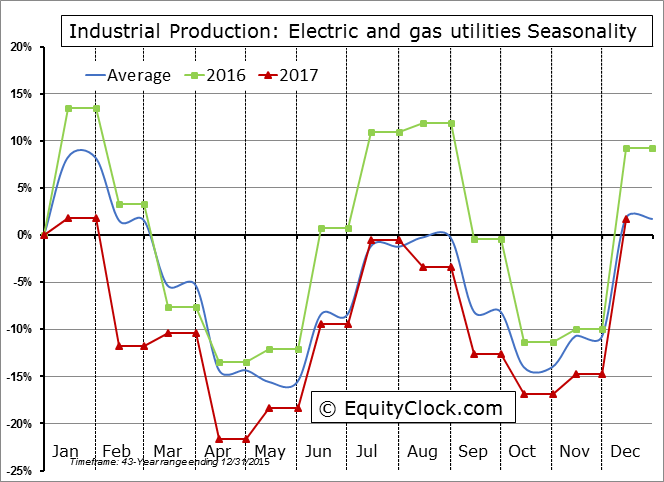 You have to wonder when so many Utility stocks are going to breakout above their downtrendlines. The list is a very long one………. Probably safer as they pay dividends? Re:#13. That’s not a good enough reason to risk my capital on as they are all just stocks and none are immune from a major selloff and capital losses. BUTTTTTTTTT if I do buy and hold a stock I don’t mind accepting a tip now and again. I just won’t fall in love with any of them and will always keep them on a very short leash. Ron/BC: #14. Fully agree with you. 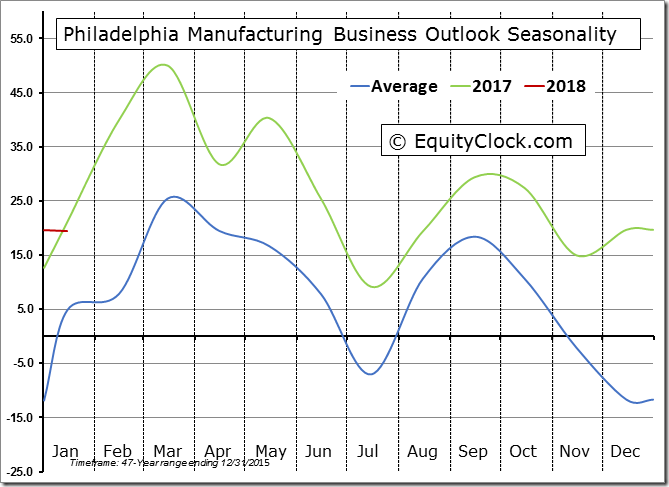 Good for that ride up until the market settle again for growth stocks. I try to absorb and learn from what experienced dividend holders share here. Very happy for those who have dividend portfolios that pay for their vacations. I would honestly like that too! But from looking at charts how they pullback and you loose so much capital and then you wonder if the dividends were worth it. I am still working on that close to perfect portfolio of stocks (dividend +growth) that will give me that dividend income and portfolio that I will need to go to tweak when there is strong resistance as I would not like to see capital or gains erode. So still struggling to get there. I want to buy Su.To and Cnq-N. They broke down today. Can you share your charts? So much home work for you from me today… Sorry. But don’t let that interfere with your golf game. What you are seeing with the FM.to chart is the ‘roll over’ of price as shown here on this Daily chart. 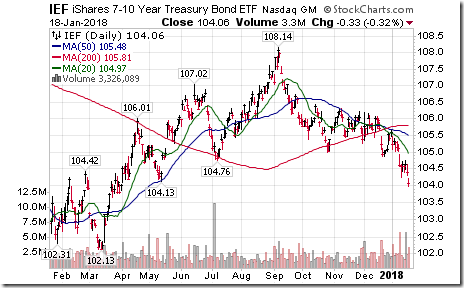 Notice it is also very overbought and broke out above $17.54 double top and typically rallied to new highs and is now exhaused and rolling over. In a perfect world price would return to the breakout point which it tends to do. The 15 minute chart would be good for intraday trading that can really chop you up bouncing around. The market trades in ranges most of the time so day traders enjoy that but most just get beaten up within the range. As far as holding stocks ‘just’ for the dividend that will never make sense to me as your capital is no longer the priority. My capital will always be my priority and if I can make or save some extra along the way that’s ok too. But it has been said by many very wise people since the beginning of time, “Capital Preservation is Job#1.” Not something I’ll ever compromise with. 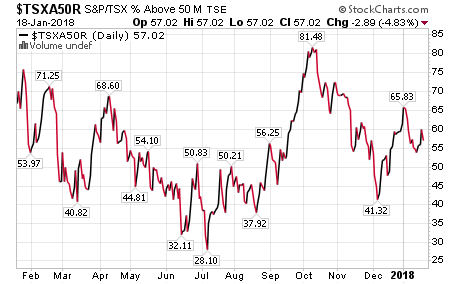 Here is T.to that has been outperforming BCE.to and FTS.to along with some other Utility stocks. Price poked its nose above the breakdown point at $47 but has been unable to clear and hold above this resistance point. It is chewing away at it but no cigars yet. 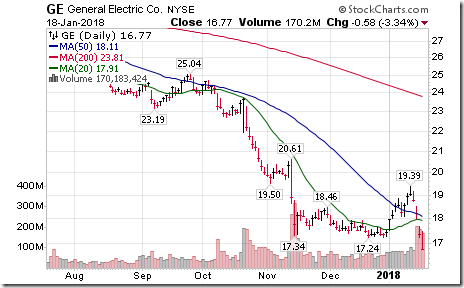 Same with other Utility stocks such as EMA.to and the two mentioned along with ZWU.to and the major U.S.Utility ETF:XLU and so many others just trading on the underside of those downtrendlines and bumping resistance points and very oversold and waiting for a buy signal yet to come. SU.to has pulled back to first support but down sharply today. No guarantee this support will hold of course. Major support is the breakout point at $43.50. CNQ.to is back to its muli year high resistance area at $45-$46. If I had a gun to my head I still wouldn’t buy it here. 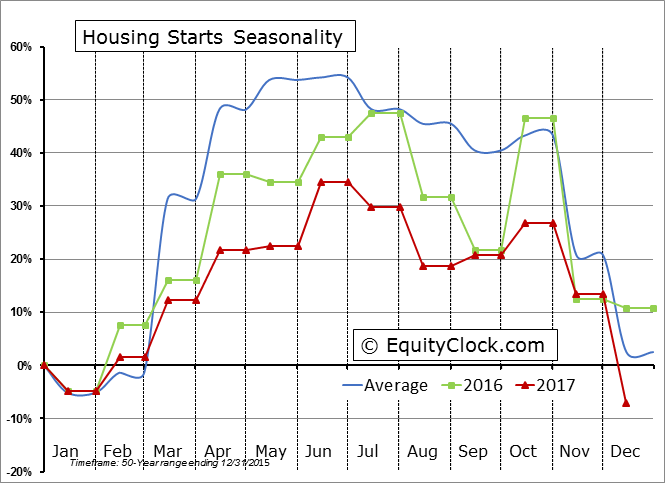 The overall market is not acting very positive. Not good. Thanks a lot for the charts and info. I am also following EMA.TO . Appears to be consolidating not gone lower. 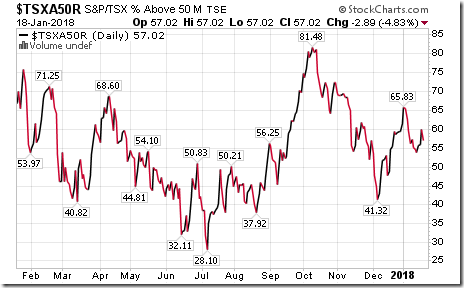 EIF.To also looks good and has nice dividend. Is making Bullish flag that could take it to $41. Tribute to Trump for al teh ups and downs. Enjoy is hilarious.. I was not able to see your 60min chart on ECA.TO. Here is mine. So far, it has held the 200EMA, is above the S1 pivot, and outperforming XEG.TO. 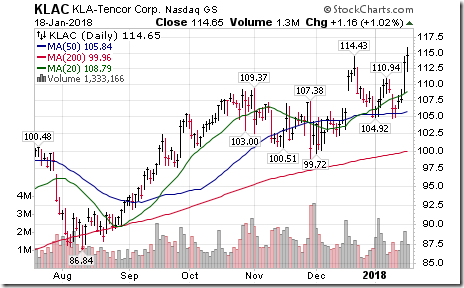 I recently sold when above 17 and bought back a partial position ~ 16.75. RE: SU.TO: So far, it is holding the 200EMA on the 60 min. chart. 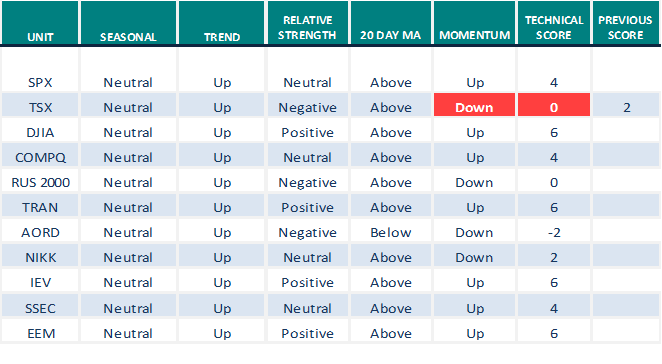 Note that this level was resistance towards the end of December 2017, it is now below the S2 pivot and it is very oversold on RSI(8). 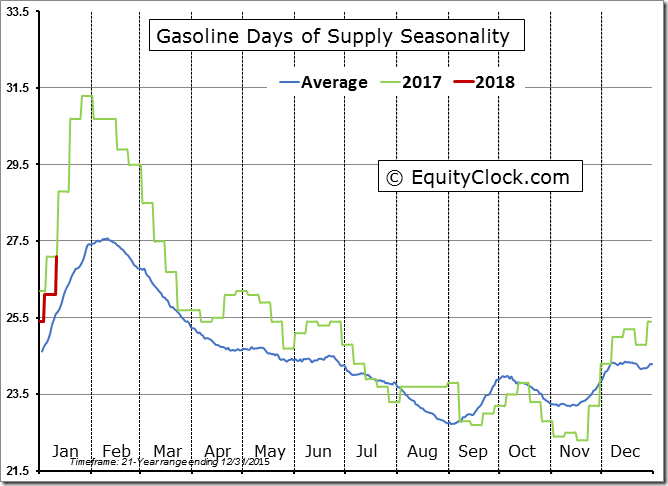 I was very tempted to sell recently when it was above 47 but decided to try to hold on for the supposed strong seasonal period. I still have a profit but, of course, not as much. “The US government shut down at midnight on Friday after a few Republicans joined Democrats in blocking a crucial measure that would have provided short-term funding for the Pentagon and other federal agencies. The Senate voted 50-48 to block a stopgap funding measure that was being pushed by Donald Trump and Republican leaders in Congress. new at posting here. appreciate all the information. followed tech talk for many Years, now and then. hope to add some ideas some time. XLF is now breaking a 10 and half year high from 2007 (I picked that up from a chart on David Burrows twitter feed). 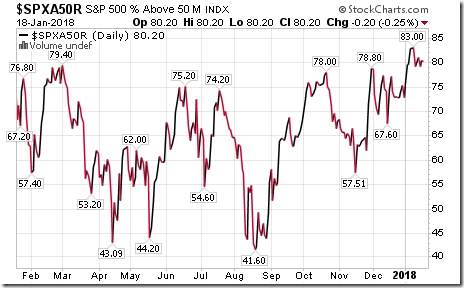 The upside on US financials is tremendous. 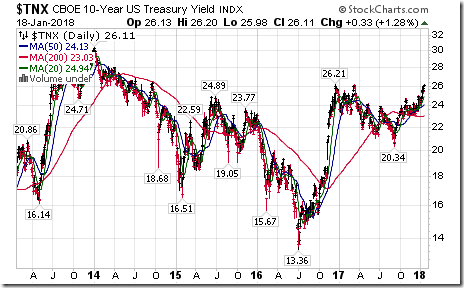 XLU is at the bottom of a running multi-year channel and looks to be the most oversold in at least five years (my chart only goes to five years). 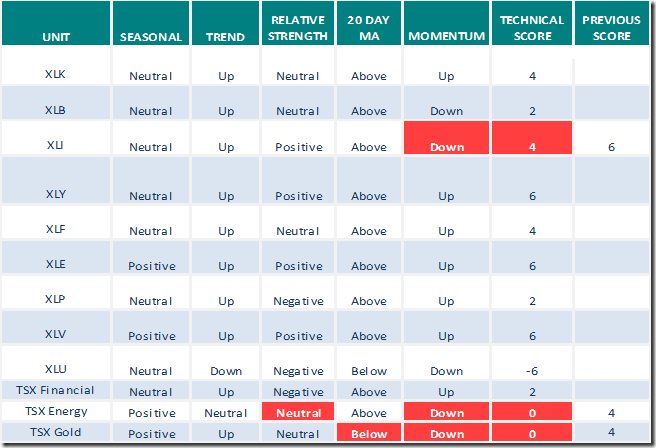 A market correction would precipitate a reversal on utilities short-term. Long-term the place to be is US financials. Posted a quick note on this one on Thursday. I had bought it on a technical breakout of a shallow and short term double bottom. Friday it responded with a 2% gain. So far so good. I thought my minimal fundamental research also suggested strength. 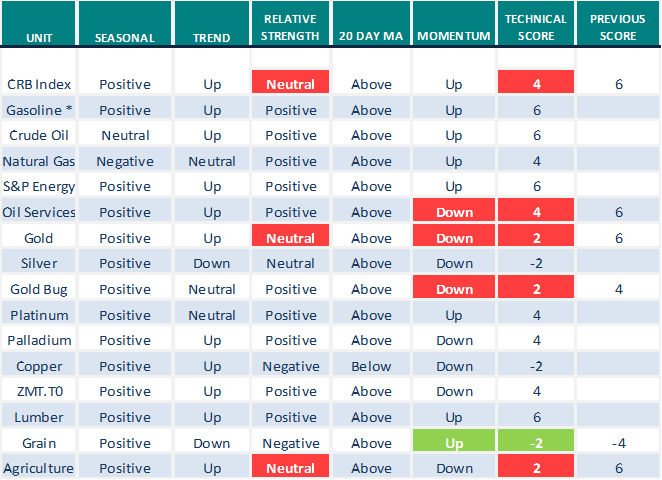 Friday TDW brought out a fairly negative note on fundamentals and forecast. 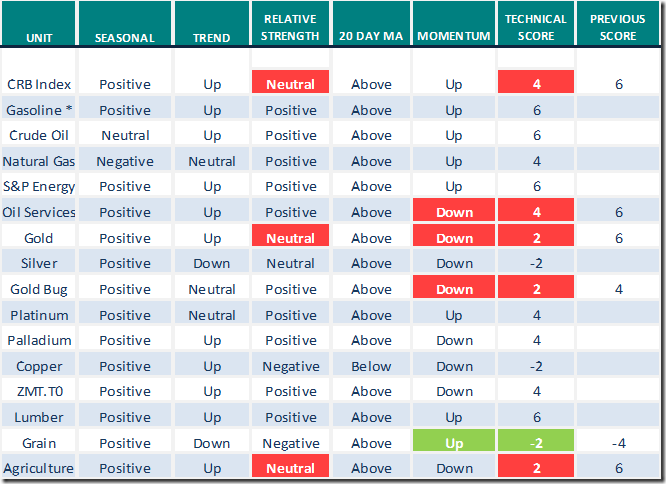 Celestica report this week. So now the quandary is whether to follow the technicals and stay with the momentum or heed the fundamentals warning, take my few hundred dollar profit and get out before the quarter. I’m leaning towards the latter. Thanks for the post from earlier in the week. drg.un was recommended by Canuck & I bought in nov 2014 & at one time was below my cost (7+) & market cap around 1b so was not expecting div raise. Now market cap is 2b+ so might see div raise ( might is key word as its still growing). On the other hand bought bpy feb 14/2017 after box.un taken over & is now 7b co & growing. if not growing I expect increase in div. Also of note drg is 6.7% & bpy 5.7% div.Thats my expectation. The Deflatriots and the ‘broken thumb’ made it to the Superbowl again. I don’t know when last time we felt the scare like this in AFC championship game.In the pub, I saw a Steelers fan, who have their a$$ kicked by Jags last week, cheering on for Jags on all plays until he folds in the end and left early.Too many hearts we broke in last 18 yrs, People rather see Pats lose than their team make it to the next level. In trading term, we climb the wall of worry every year.Keep hating. See you guys in Superbowl, Feb 04. Adios amigos.